Burwell is interested in making visually dense, layered complex paintings. Through the layering process, the paintings are constructed using dripped lines, geometric and biomorphic shapes, linear and solid forms – most of which are painted using templates he has created over many years. 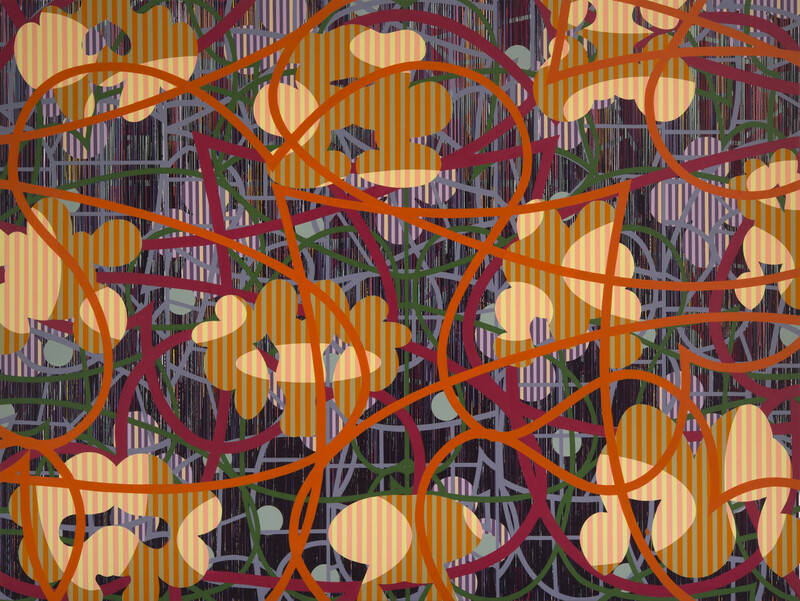 Purple Vista and other recent paintings indirectly refer to the connections between biology, technology, and in a manner the complexities of our information-laden culture. Burwell is also interested in the transparency of the layering process remaining visible. Viewing the work is being engaged in the act of penetrating the layers and navigating through veils of imagery. How these images interrelate, their method of construction, the physical and/or visceral perception of these images and how this relates to our understanding of contemporary visuality are issues Burwell likes exploring.